Your One-Stop Resource for Real Estate in Baldwin County! Feel free to log in and create your own, personal real estate web-site.Whether your searching for commercial, residential or investment property in Daphne, Spanish Fort, Gulf Shores, Orange Beach or Fairhope - you can find it all right here. Formerly Fairhope Realty Group, now Bellator Real Estate & Development as of November 1st, 2018. Bellator was founded in 2008 by CEO Nathan Cox and has quickly grown from a two-man operation to the largest real estate company in Baldwin County with branches in Fairhope, Spanish Fort, Mobile, Orange Beach, Gulf Shores and Ono Island. It is owned entirely by the same local individuals who operate and manage it. With the combined efforts of its nearly 200 agents, Bellator sold $555,144,131 of real estate in 2017. It strives to be the most agent-focused real estate company and the market leader through a relentless commitment to elevated standards of excellence. 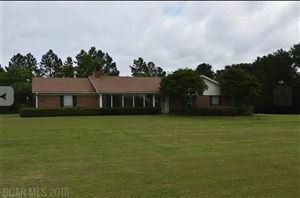 As the Fairhope Section Street Branch of Bellator, our unique real estate company specializes in residential and commercial real estate sales - exclusively in Baldwin County and specializing along the Eastern Shore and the South Baldwin Beach areas. We will work for you just as if you were our own family. We know that longevity in the Real Estate business is not about squeezing every dime out of an individual transaction, but by doing a great job for our clients and exceeding their expectations. We are working for your referrals and to be your REALTOR® for life.